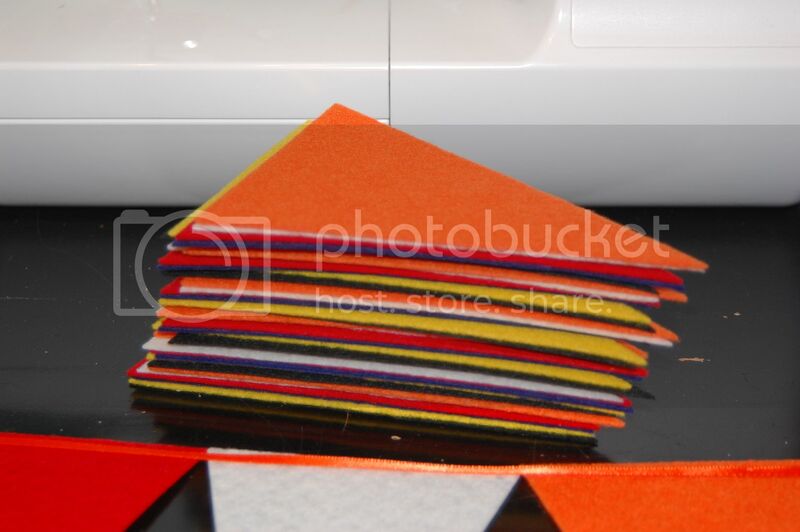 I got those super stiff pieces of felt at Hobby Lobby in colors of all his favorite teams (not all are football, but I figured they would be colorful for the party and I will hang them in his room when it's over). They are bigger than the softer floppy kind. I started by cutting the pieces in half length wise. 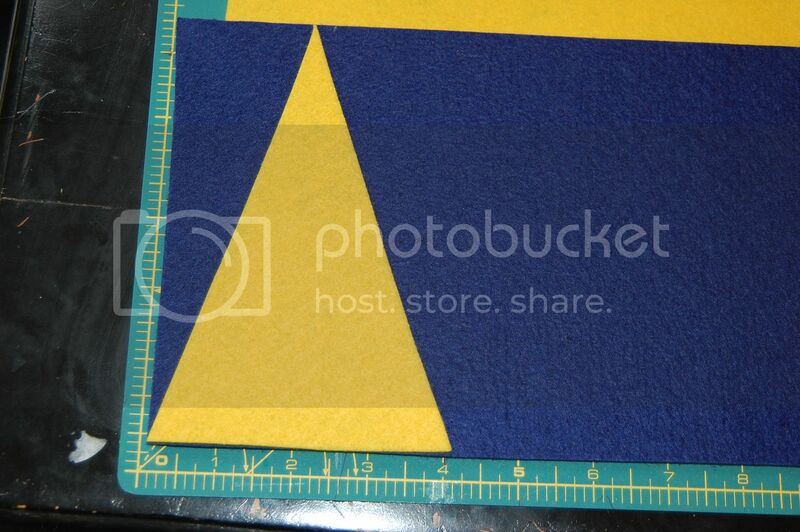 Then I measured to cut the triangles. Mine are 4" wide across the top. 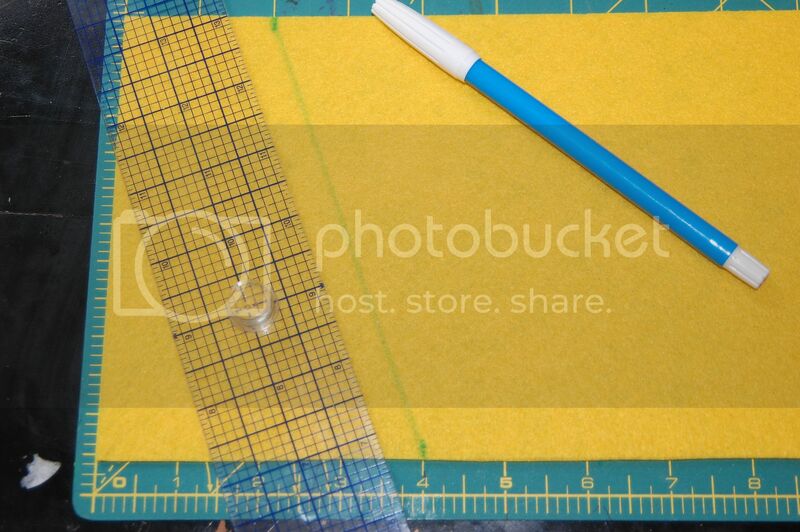 Then I made a mark on the other side at 2" and drew my lines on both sides with a water soluble pen and cut out. 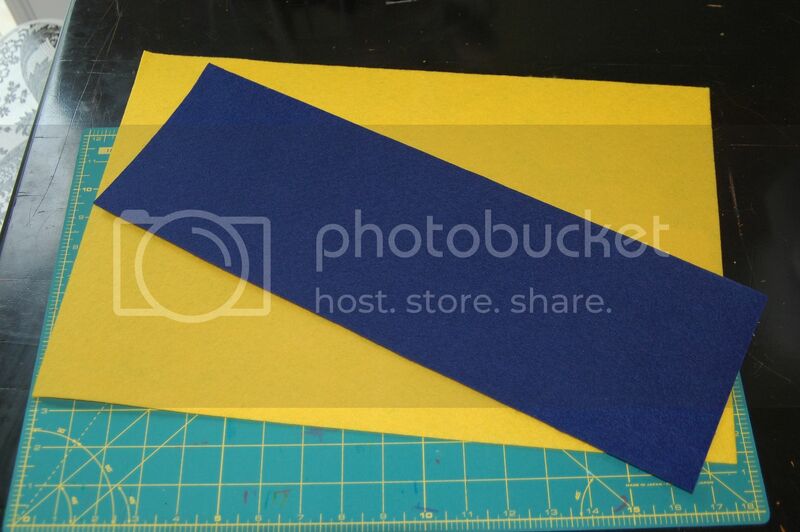 After your first one is cut you can use it as a pattern. Then I had a big stack of triangles. Then I used an inexpensive roll of skinny satin ribbon and pinned the triangles along the ribbon and sewed down. Then it is ready to hang! 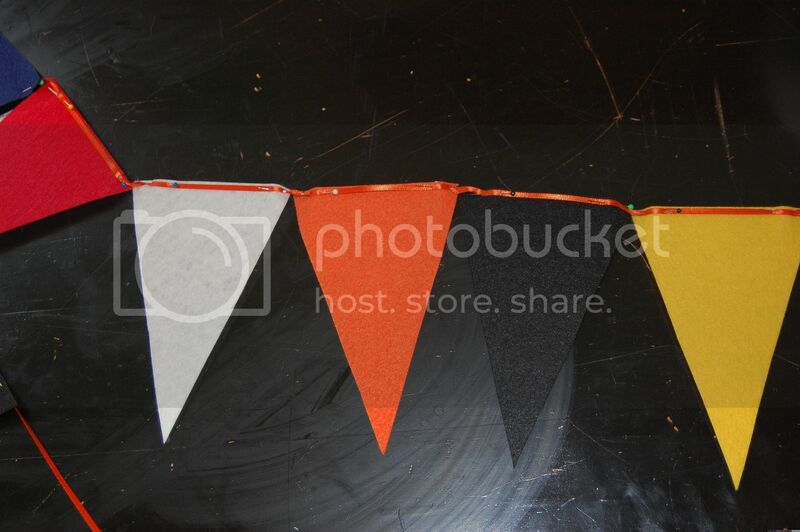 These would make fun decorations for any tailgating party or your super bowl party in the new year! 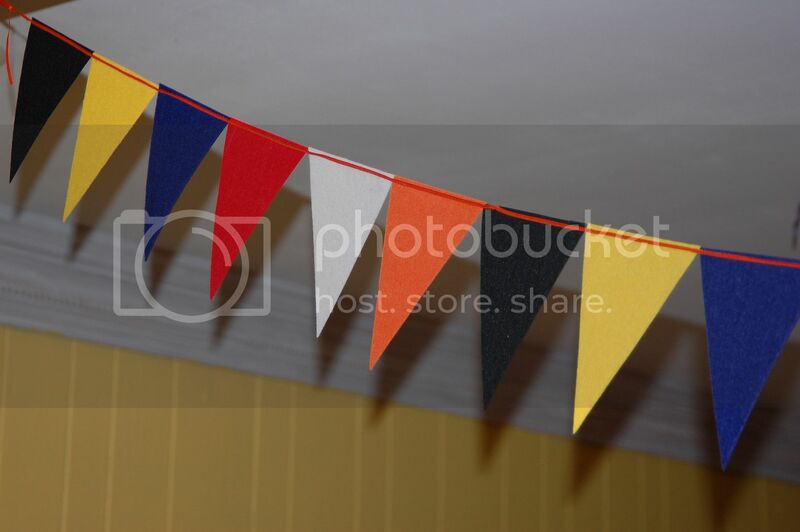 What a fun idea for football parties, I love it! And easy too-bonus! I'll be linking, thanks so much, I just love it here!